Before Hollywood's signature car chase scenes (overdone?) 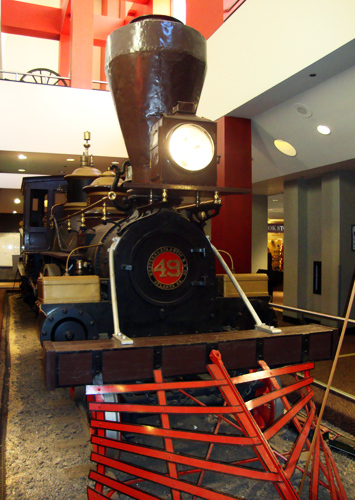 there was The Great Locomotive Chase, which took place during the American Civil War...and Atlanta has both trains on display. The winner of the Chase was the Texas (photo), which is now housed in the Atlanta Cyclorama in Grant Park. The General, the subject of pursuit, is housed in the Southern Museum of Civil War & Locomotive History located in Kennesaw, Georgia, not too far from Atlanta. Hollywood even made a movie about the heist, "The Great Locomotive Chase." The feature film starred Fess Parker (star of "Daniel Boone") and Jeffrey Hunter (Captain Christopher Pike of the original Star Trek pilot, which was later used in the televised episode "The Cage").